This post was brought to you by Graze. All opinions and thoughts are my own. Thank you to the brands and companies that help support Southern Made Blog. Something we always have an overabundance of in our house is bananas. Our family loves them and they’re a quick snack you can grab on the go that’s healthy. I usually buy more than I need because overly ripe bananas mean yummy banana bread, which is perfect any time of the year. It’s also great because you can throw in whatever you’d like to mix up the recipe. Not to mention, it’s super easy and my kids can help make it! This bread is delicious and pairs perfectly with a cup of coffee for breakfast or makes a great snack during the day! 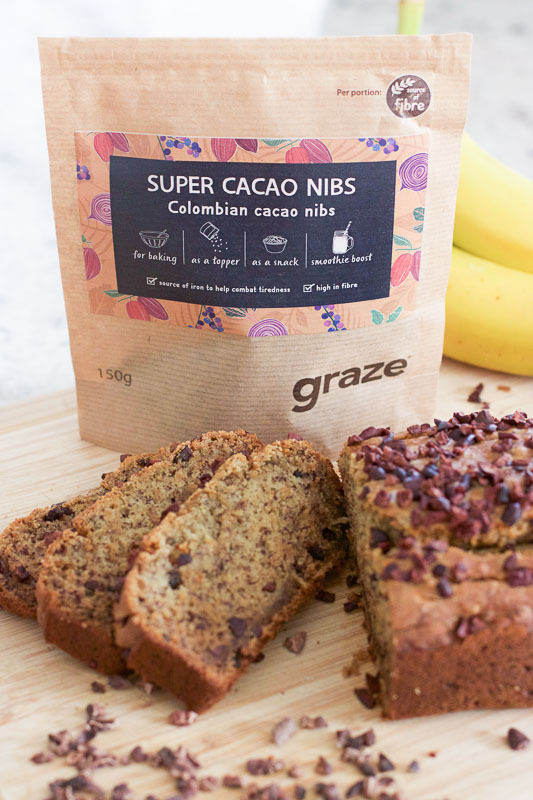 I love all of the superfood snacks and ingredients Graze offers and this bag of cacao nibs are perfect for this recipe. What’s great is they’re raw, high in fiber, less processed, and have no added sugar. My picky eating boys will eat this up and I feel much better about giving them food that is good for them. 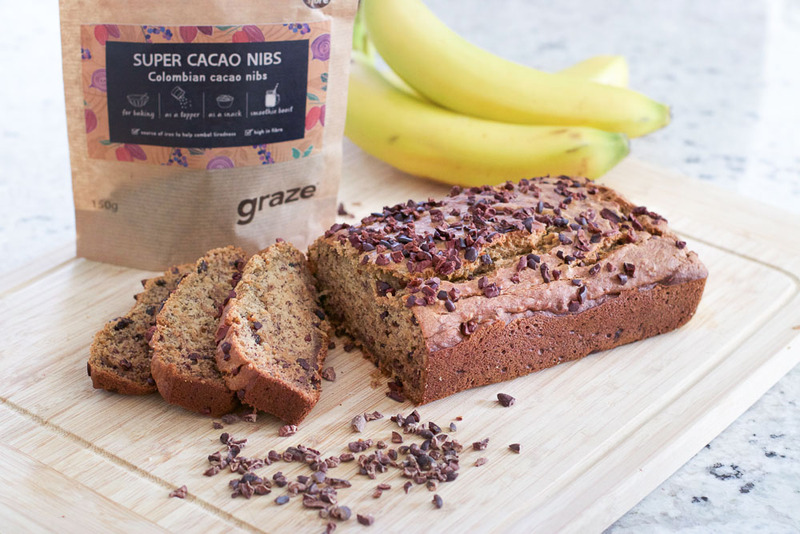 This cacao nib banana bread is a staple for us throughout the year and makes a perfect gift during the holidays. In a large bowl, mash bananas and beat in egg and add honey. In a separate bowl, whisk together dry ingredients (flour, baking soda, baking powder, and cinnamon). Pour dry ingredients into large bowl with wet ingredients (bananas, egg, and honey) and use mixer to blend everything together. Fold in the majority of cacao nibs, leaving a small handful for the top. Once combined, pour into greased loaf pan and sprinkle the remaining cacao nibs on top. Bake for 50 minutes. Once the bread has cooled, pop it out of the pan and serve. 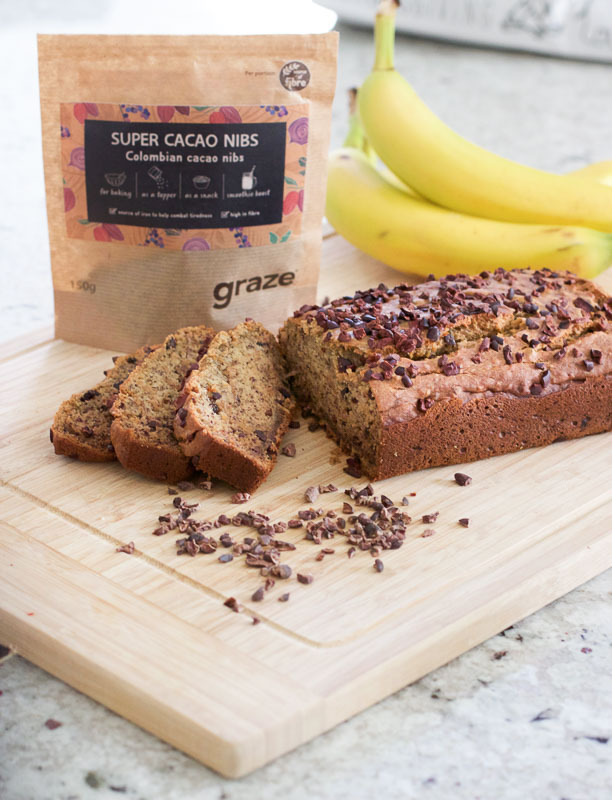 Be sure to check out all the other superfood snacks and ingredients Graze has to offer! Everything is delicious! This recipe looks delicious! And I have some ripe bananas! 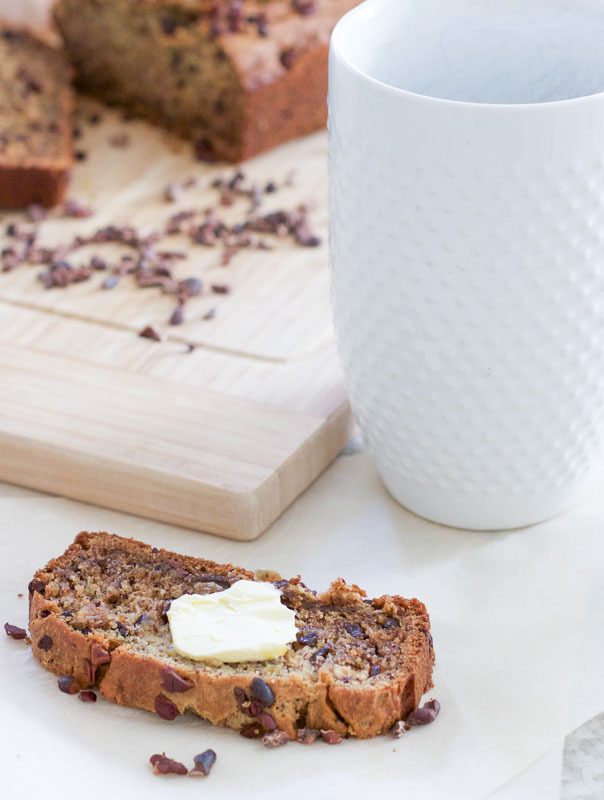 I love a good banana bread recipe! This looks so good! Thank you! Me too! They’re great to switch up for a change. Thanks, friend! It’s soooo yummy! Looks so good!! Cant wait to try it!! Yum! These sound so good! We always have an over abundance of bananas because they are my toddlers favorite, so I’m always baking something with bananas. I’ll have to try these! They’re so yummy in bread! You should try the recipe! :) It’s great with coffee. This sounds so good!! I have always wanted to try cacao nibs but have never pickes any up. I’m going to have to give them a try now. This was my first time cooking with them and definitely won’t be the last. Soooo yummy!